If you are bored of city hood and want to get some time for yourself in the circle of nature and wildlife, Masai Mara is your destination. It is located in the southwest Kenya, with border to Tanzania. Masai Mara was named after the Masai people, the ancestral inhabitants of the area and the Mara river, which flows though the plains of Masai Mara inhabiting a huge number of hippos and crocodiles. Mara in Masai language means ‘spotted’ as Masai Mara is seen spotted with the trees, bushes, cloud shadows and wildlife from far. Established in 1961, it is about 270 km from the Nairobi city. You can get there in 5-6 hours by ride or 45 minutes by flying there. It covers 1,510 km2 of the land inhabiting a huge variety of wildlife, magnificent scenery and enduring plains. Masai Mara is well known for the great annual migration of the animals. 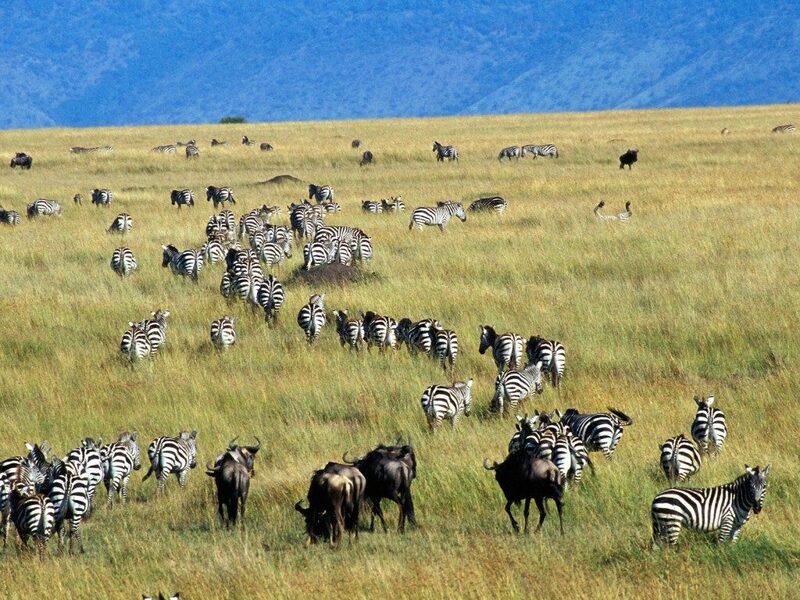 Annually, around 1.5 million wildebeest and 300,000 start their trip to the Masai Mara national reserve. The animals travel around 1800 miles in search of food and water. One of the seven new wonders of the world, the annual migration of the wildebeests revolves around Serengeti National Park in Tanzania to the pastures of the Masai Mara National Reserve during July through to October. The migration begins in the January and February with the animals gathering their young ones for the migration. The mass of the animals attracts a lot of predators. 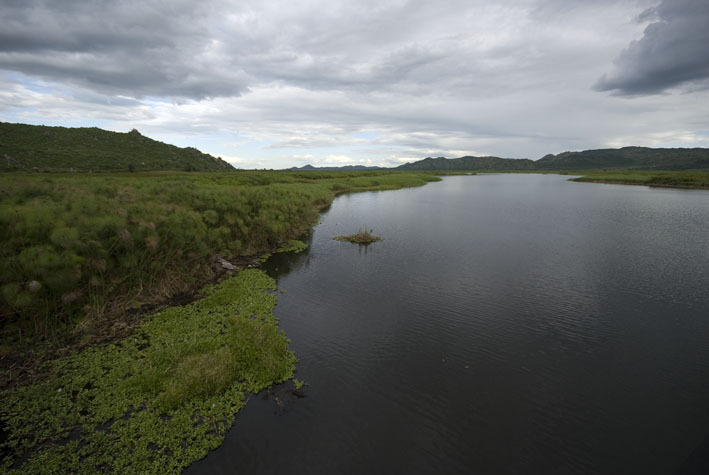 The Mara River with crocodiles in it makes it difficult for the migrants to cross it as the crocodiles could prey on them. So the animals will try to make it through the river alive. And this view is breathtaking. 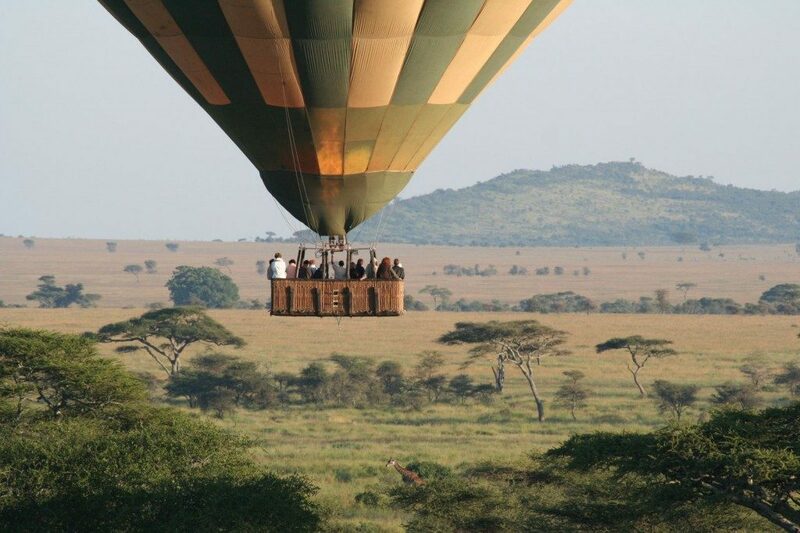 The floating over the Savanna in the hot air balloon is a great fun. You can fly over like a bird viewing the scenes below with its perspective. This silent fly over the plains will leave you with an unforgettable memory for lifetime. After an hour of floating in the balloon, you land to a lavish breakfast waiting for you. This could take you some $550 per head, including the lavish breakfast you are served after landing. You can also book early if you wish to. You don’t want to miss to capture the breathtaking views of the landscapes of the Masai Mara. The animals migrating, crossing the river, gathering their young ones to migrate are some things you wouldn’t want to miss capturing in the frames. You can visit the Maasai Mara all year round. 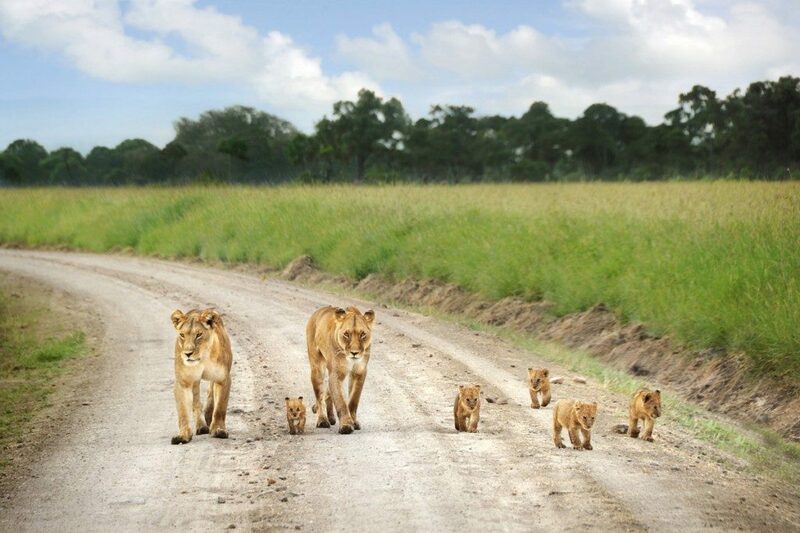 With the big cats, and all the big game still in the Masai Mara, your visit to it will never let you down. You can stay at the hotels around the national reserve. You can also stay in Mara West Camp is located within the Masai Mara. It’ll cost you about $489- $609 for your stay at the Mara West Camp. Naibor Wilderness, which is located in the heart of the Masai Mara, will cost you $420- $500 if you choose to stay in it. Sala’s Campo on the banks of the Sand river is a perfect place to stay too. Why travel to Masai Mara? You would be fascinated by the Masai people herding their cattle along with the wildlife in the area. The biggest migration is one of the new Seven Wonders of the World. You also don’t want to miss the flamingos breed on Lake Nakuru and black-manned lions of the Masai Mara. 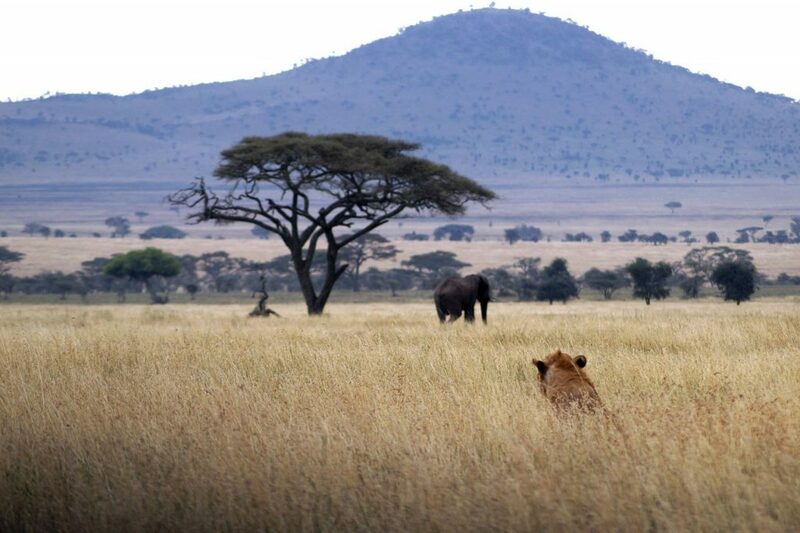 As a whole, the trip to the Masai Mara would be filled with nature, wildlife and landscapes , soothing your soul.